Molly Renshaw of Loughborough University took her third gold of the ASA National Winter Meet in the day three finals. The world short course champion added to victories in the 200m IM and 200m Breast with a dominant performance in the 100m Breaststroke in Sheffield. Loughborough teammate Beth Aitchison went out strong and was first to make the 50m mark, but Renshaw came back strong over the final two lengths for the win. She touched in 1:05.57. Edinburgh Uni’s Corrie Scott took the silver in 1:06.71 and Aitchison took bronze in 1:07.12. Stockport Metro’s Holly Hibbott took her second gold of the meet, swimming a new PB time in the process. Having won 800m Free gold on day two, the 17-year old was chased all the way by Glasgow’s Camilla Hattersley in the 400m Free final. But Hibbott’s personal best effort of 4:03.13 was enough for victory, with Hattersley taking silver on 4:03.78, also a new personal best. City of Sheffield’s Eleanor Faulkner took the bronze with a 4:05.90 effort. Brighton swimmer Dominic Polling surprised himself in taking the gold medal in the Men’s 100m IM final. He swam 55.33 to secure the win ahead of Loughborough Uni’s Brian O’Sullivan (55.54) and Carnforth’s Joshua Thompson (55:58). Georgy Chernov from Russia was first to the wall and won a commemorative medal after his 55:09 effort. 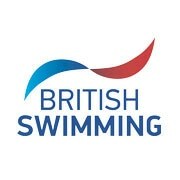 Sam Dailley of Plymouth Leander swam a new British junior record in the B final. He swam 56.97 to take the junior gold. Craig McNally of Glasgow claimed his second backstroke gold medal of the 2016 ASA National Winter Meet in the Men’s 100m Backstroke final. There were just 0.03 seconds between him and Jay Lelliott as 200m Back champion McNally got the touch in 51.91. Lelliott of Bath Uni took silver in 51.94 and Daniel Cross took bronze with 52.38.